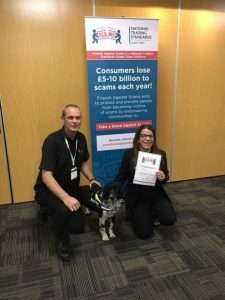 Our illegal tobacco sniffer dog Alfie is now an official SCAMbassador for National Trading Standards Friends Against Scams Team. 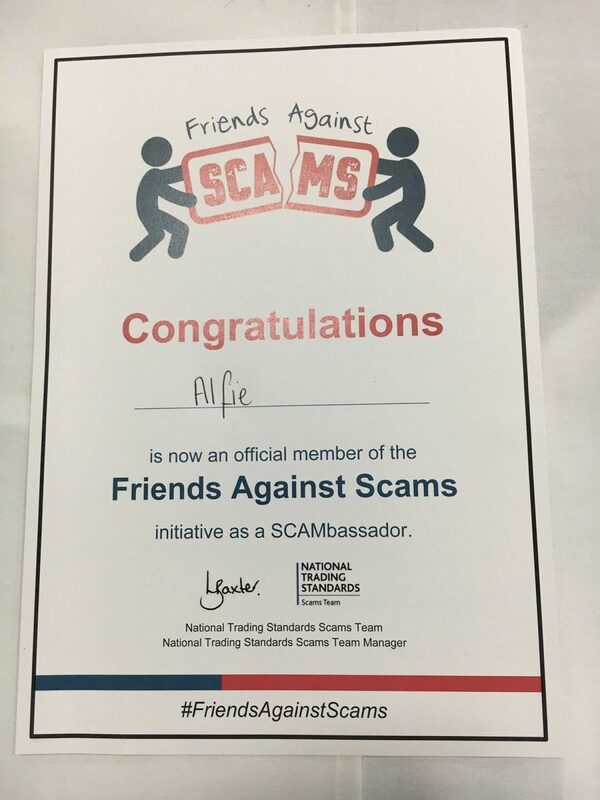 Friends Against Scams is a National Trading Standards (NTS) Scams Team initiative, which aims to protect and prevent people from becoming victims of scams by empowering communities to “Take a Stand Against Scams”. It’s a Dog’s Life with Wagtail!